Correct color mistakes with ease! 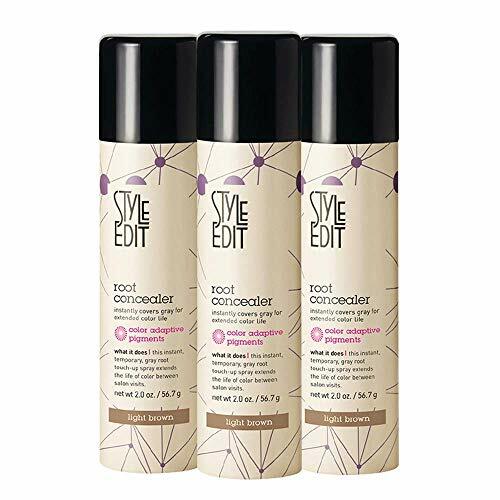 This product removes artificial hair color from your hair, leaving it ready for a new application. 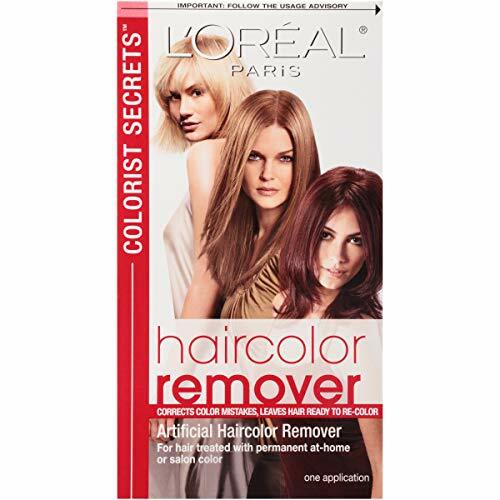 Hair color remover does not restore hair to its original, natural shade, but instead prepares it for re-coloring. 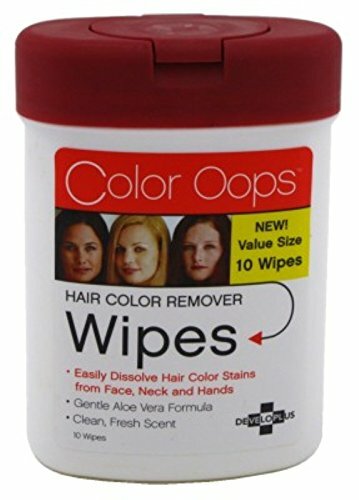 Haircolor Remover corrects color mistakes, leaving hair ready to re-color. For hair treated with permanent at-home or salon color. 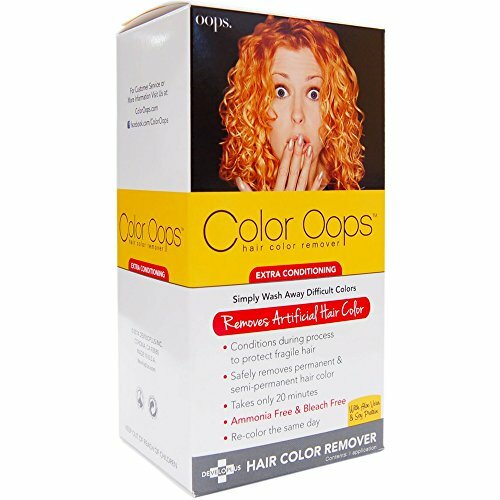 Color Oops Extra Conditioning is the most gentle and effective way to reverse an undesirable hair color application. In just 20 minutes Color Oops corrects your hair color by shrinking the dye molecules, allowing you to simply wash them away. Our unique formula has no bleach and ammonia; Color Oops will not have the damaging effects of bleach or ammonia based products. Color Oops Extra Conditioning is enriched with aloe vera and soy protein to condition and help restructure your hair during the color removal process. 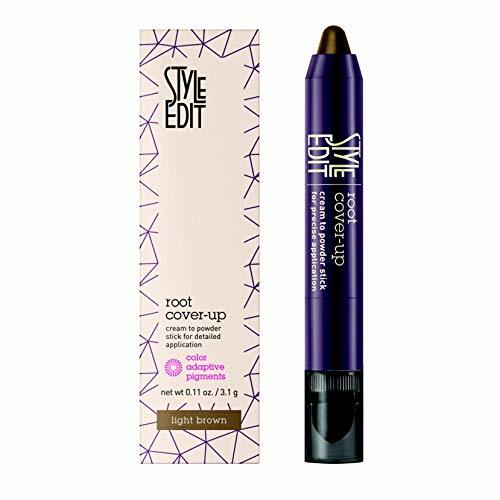 GREAT FOR IN BETWEEN BEAUTY SALON VISITS - This salon quality root cover up is ideal for men and women to use at home. 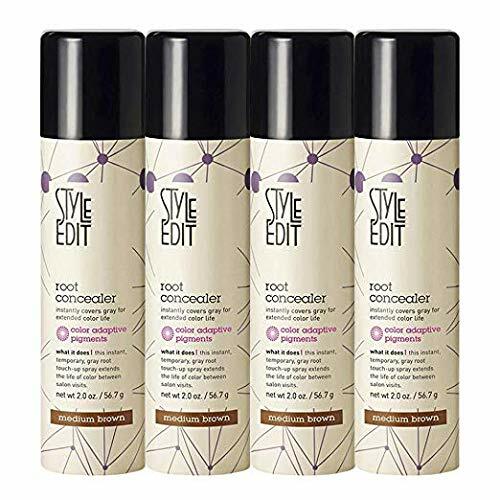 It is a non-permanent hair spray but lasts for days and easily comes off with shampoo. 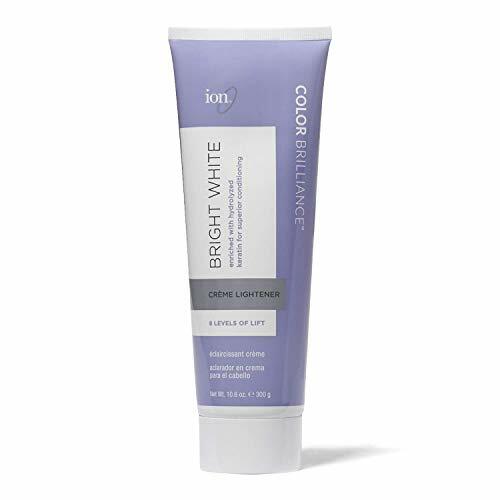 EFFORTLESS IMMACULATE ROOTS - Stop wasting time and money at salon centers, get this color corrector bottle and cover your gray roots within 3 seconds at the comfort of home. GOOD FOR ALL HAIR TYPES & TEXTURES - Color adaptive pigments smoothly adhere to the hair fiber and self-adjusts for a flawless result. Suitable for all hair types and colors. PROUDLY MANUFACTURED IN THE UNITED STATES - Our cruelty-free root touch up is proudly researched, designed, and made in the USA with local handpicked ingredients. Root Cover-Up Stick What it does this temporary, wax-less cream to powder gray root cover-up stick covers regrowth in an instant. its color adaptive pigments allow the formula to blends seamlessly to hair while covering regrowth. Its pointed tip is the perfect size to conceal regrowth around the hairline, sideburns, and even brows while the sponge perfectly blends for undetectable coverage. transfer and water resistant and perfect for travel. What's NOT in it peroxide, parabens, ammonia, or any harsh chemicals or permanent dyes, not tested on animals. How to use it remove cap to reveal powder stick. apply product to gray hair regrowth. use sponge to effortlessly blend. re-apply if necessary. for best results, apply to clean, dry/styled hair. thoroughly wash product out before coloring the hair. avoid contact with eyes. if irritation occurs, please discontinue use and consult a health care professional. 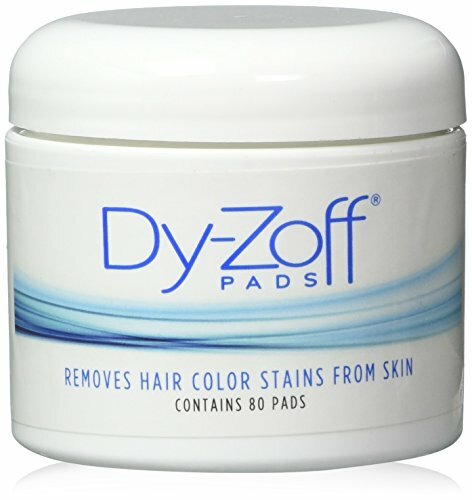 Brand: Dy Zoff | Manufacturer: BLUE CO BRANDS CORP. US: 4 UK: 8 EU: 34 Bust: 90cm/35.4" Blouse Length: 59cm/23.2" Waist: 70cm/27.5" Hip: 98cm/38.5" Pants Length: 98cm/38.5"
US: 6 UK: 10 EU: 36 Bust: 94cm/37.0" Blouse Length: 60cm/23.6" Waist: 72cm/28.3" Hip: 102cm/40.1" Pants Length: 99cm/38.9"
US: 8 UK: 12 EU: 38 Bust: 98cm/38.5" Blouse Length: 61cm/24.0" Waist: 74cm/29.1" Hip: 106cm/41.7" Pants Length: 100cm/39.3"
US: 10 UK: 14 EU: 40 Bust: 102cm/40.1" Blouse Length: 62cm/24.4" Waist: 76cm/29.9" Hip: 110cm/43.3" Pants Length: 101cm/39.7"
Ion Color Brilliance Hair Lightener Powder Tub (16oz) is a dust-free, conditioning formula that is suitable for all application techniques both on and off the scalp. The creamy consistency stay moist throughout the entire lightening process. 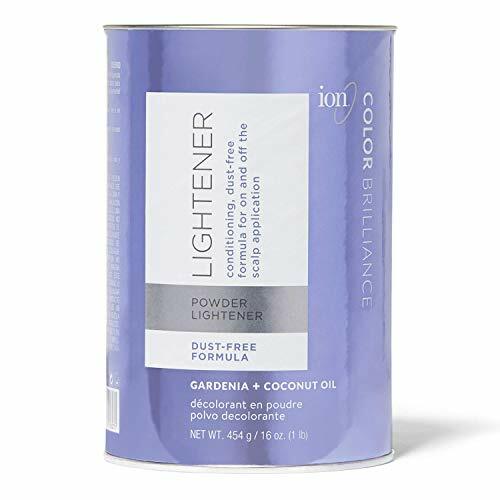 Color Brilliance hair lightener is enriched with a moisture-rich combination of Gardenia and Coconut oil for optimum conditioning and moisture retention during decolorizing. This dependably functional and stylish stain remover from Tweezerman is a gentle, all natural formula that works by unlocking stains on skin, clothing and work surfaces. Have fun with your hair! Changing your hair color can be such a fun way to show your individuality to the world, only it can be extremely time consuming and expensive to visit the salon regularly. Our Pinky Petals Hair Chalk cream allows you to quickly, and easily change your color as often as you would like without even leaving your house! Our unique applicator makes it so easy to apply the long lasting shimmer color exactly where you want it to appear. It's so easy that you can do it yourself, with little mess. The temporary 6 count colors are vibrant and blendable, allowing you to achieve some of the most trendy looks out there like the "galaxy", or "peacock" looks. Once you have achieved to color you want, you can simply brush and style as usual, applying a coat of hair spray once completed will act as an extra sealant for the color to last longer. Great for: Parties Clubbing Festivals Cosplay Or just to spice up a regular day out on the town! Even safe enough for children and pets! Our hair chalk cream is Great for anyone who loves showing off their individuality without the cost of expensive salons. Don't miss out on this limited time promotional price! Get your Pinky Petals hair chalk today! LESS MESS! 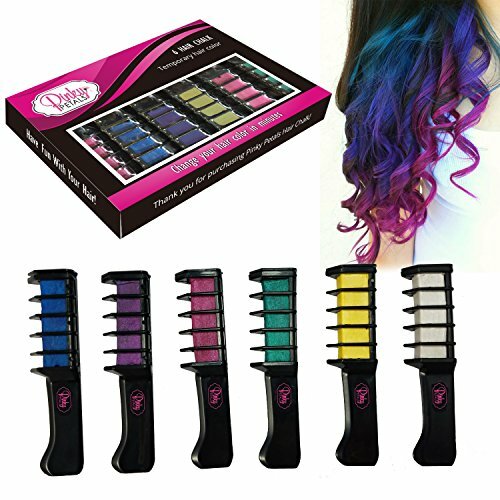 - Our 6 count, long lasting temporary hair chalks come with a unique applicator that allows you to simply brush on the color where you want it to appear! No more dealing with messy pens or compacts that crumble and break! 6 BLENDABLE COLORS - Our Pinky Petals hair chalk comes with 6 different colors that can be used alone, or easily blended together for a custom look! The Shimmer pack comes with Pink, Purple, Blue, Green, Yellow, and Silver. SOFT, MANAGEABLE HAIR - Our hair chalk creams will leave your hair soft and manageable once applied, and not sticky and stiff like other products out there. 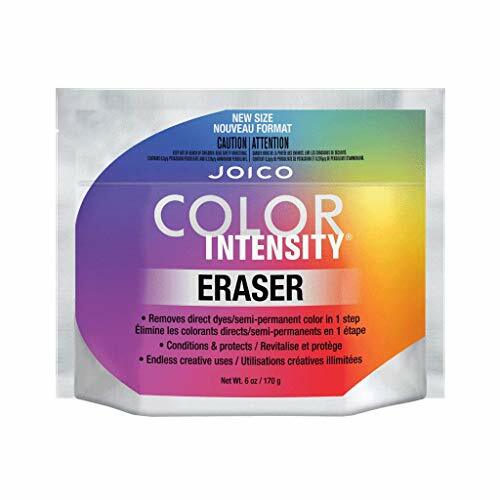 Gentle, thorough removal of color stains from your hands after performing the Intensive service. This product should not be used on the client's face or to remove the Intensive product during the service. 3.04 fl. oz. Note: For Professional Use Only How To Use: Made for use with the Intensive Lash & Brow Tint. Remove makeup with the Intensive Makeup Remover Foam and place protection pads under the eyes. Using a 1:1 ratio, mix Intesive Lash & Brow Tint and Cream Developer well in glass dappen dish and stir with mixing stick until the consistency is that of a creamy paste. Apply to the lashes or brows with the Application Brush, starting with the lower lashes first on both eyes. Remove any excess product around the eye area to prevent discoloration or temporary staining of the skin. Process lashes 10 minutes and brows 3 minutes. While the client's eyes are closed, use a round cotton pad dampened with water in a downward motion to remove product until no residue is visible. 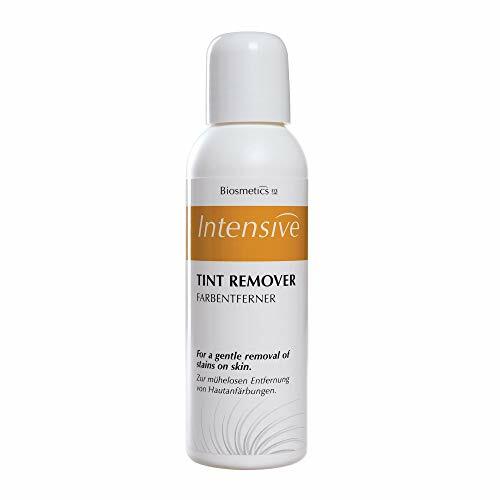 Gently remove any stains on hands or work area with Intensive Tint Remover.